A recent stator rewind turned out to be one of the most technically challenging projects to date completed by Quartzelec’s Rugby business for customer Soda Polska Ciech. The company is the only Polish – and the second largest European – manufacturer of light and dense soda ash as well as wet and dry vacuum salt. An earth fault had caused the stator failure on the 2 pole 20MVA generator, manufactured by GANZ in Hungary in 1957 and installed at the customer’s plant in Warsaw. The project called for a full stator rewind and rotor refurbishment, including manufacture of a full set of coils and insulation materials. Quartzelec was chosen because of vast generator experience and knowledge, competitive pricing and a willingness to work closely and in compliance with the customer – in terms of language, legal and insurance requirements. 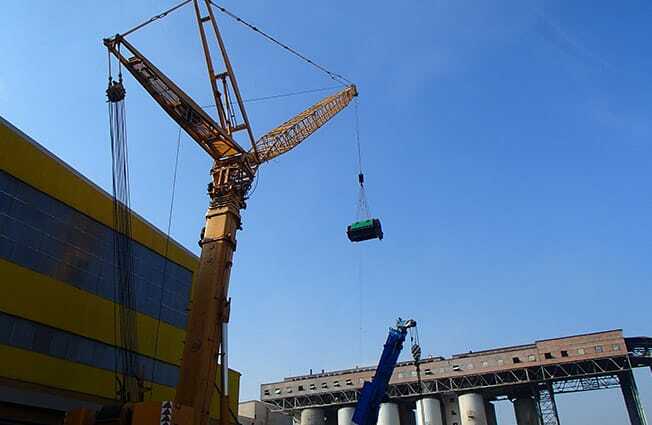 The challenge began with the machine’s removal – achieved by means of a 500T crane through the roof. The Hungarian manufactured generator featured a highly unconventional design including a basket-type end winding, a rotor with two slip rings on each end of the body and a winding which was intentionally shorted to earth. With no design information available, full reverse engineering using HandyPROBE coordinate measurement was required to produce a full set of new manufacturing drawings. The difficult stator winding re-design necessitated arranging the end windings to nest inside one another on each of the four layers of winding at both ends of the stator whilst avoiding the studs used to support the winding. This was further complicated by unequal coil pitches at one end of the machine. A complex series of air baffles and clamping blocks then had to be arranged between each layer mounted on the studs. The original baffles – made originally from wood – were redesigned and replaced using modern manufacturing methods and materials. The buzz rings were rolled and formed by TS Metals (a Quartzelec company) and had to be designed so as to interleave between each other. As well as new coils and insulation being fitted, the rotor journals and slip rings required machining, the rotor balanced and the unit finally overspeed tested prior to re-installation.